DEEDED PRIVATE GARAGE PARKING SPACE CONVEYS with this sixth floor condo. Located in the middle of the building, this unit showcases one of the very best views in the building. 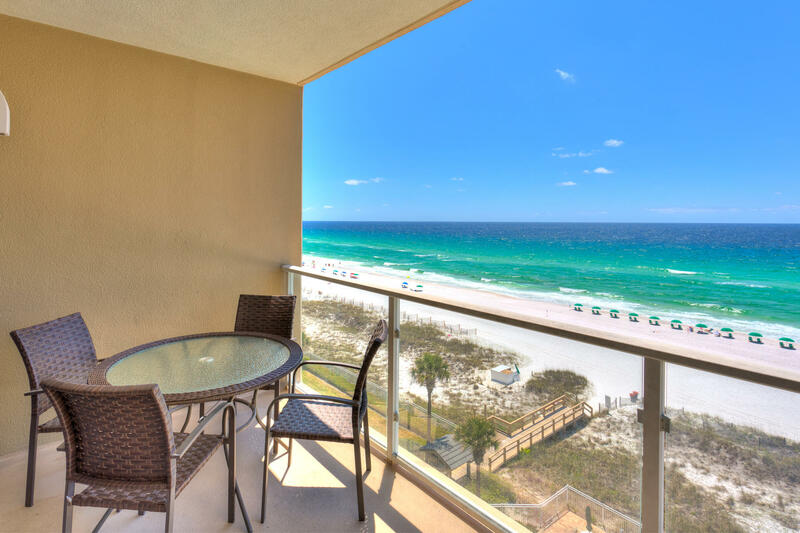 It comes fully-furnished (excluding a few items) with paid beach service from March to October. The kitchen features granite counter tops. The HVAC, hot water heater, & stackable washer & dryer are all new! Sterling Sands features 460 feet of sugar white beach with daily beach setups, gulfside pool & hot tub, fitness facility, & grill area. Sterling Sands had a major renovation in 2012 & more recently the balconies were refurbished & presently the elevators are being upgraded.